Deborah, Sarah and Bethiah Barker were daughters of Captain Joshua Barker of Hingham, Plymouth County, Massachusetts. Captain Barker belonged to a good family, when all the families were good—descendants of those primitive and pious colonists who first settled New England. He was a man of high honour, great benevolence and most amiable manner. . . . Mrs. Barker was the cousin of her husband and was the second of three sisters; the eldest died the widow of General Winslow and the youngest, Elizabeth, died single in the house of her nieces. The three sisters, especially the subject of this brief memo, never married. That parlour was a delightful south room. The fervent heat of the summer sun was broken by the thick shade of a wide spreading plane tree that stood near the house and the glossy tresses of a dangling woodbine hanging over the windows softened the light that entered it, leaving spaces sufficient to look through upon the street to which the ground before the house covered with short velvet grass descended in a gentle slope. On the further side of the street lay the vegetable garden of the neighbor, along the borders of a little brook that ran through them toward the sea, which though out of sight was not far off. Beyond the gardens lay another street—behind that stood a hill on the top of which the villagers bury their dead. On the right hand—onward to the limit of vision, along the path way ran houses, those of traffic and mechanic art—the Academy and the spire of an old Church. None of these objects were picturesque but they had a character, they represented life and death, learning and religion, industry and competency, security and contentment. . . . 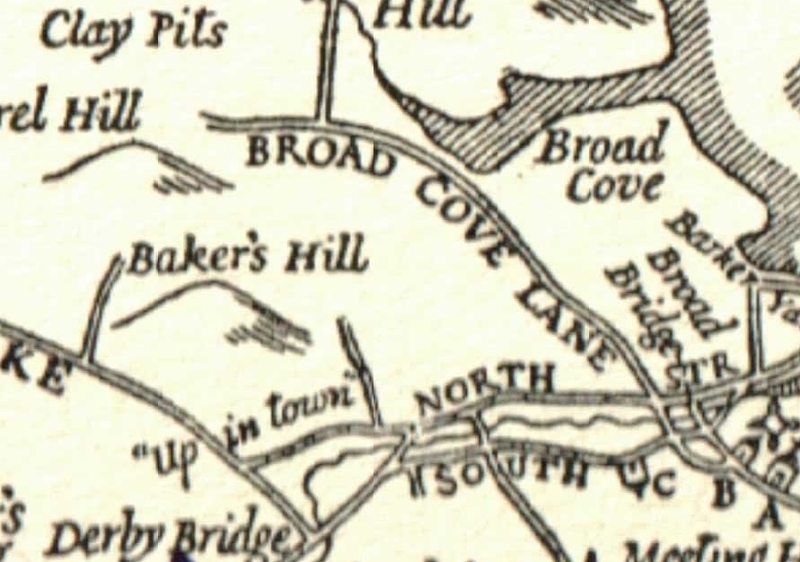 The basic layout that Miss Robbins describes is remarkably unchanged: the house faces North Street, the bed of the former “Town Brook” (now the capped Greenbush train tunnel), and then South Street. 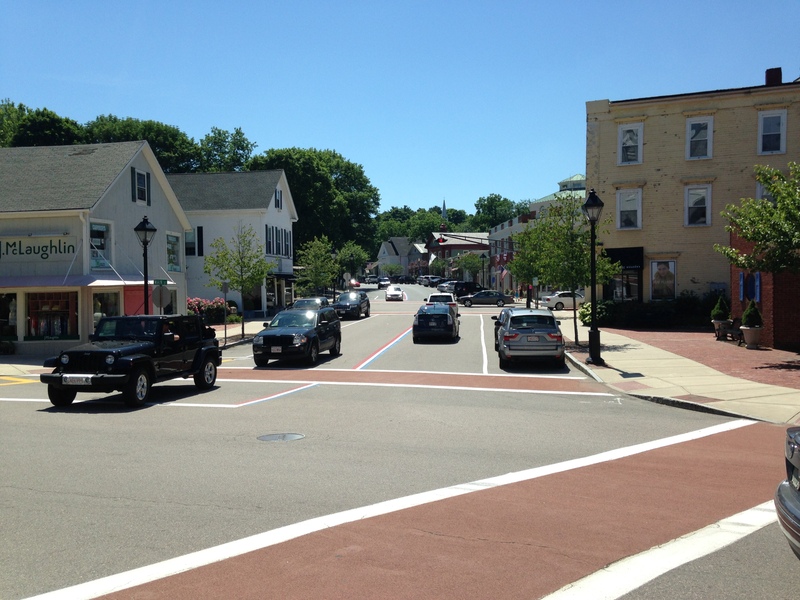 On the far side of South Street, Hingham Cemetery, Old Derby Academy, and Old Ship Church run south along Main Street ahead. 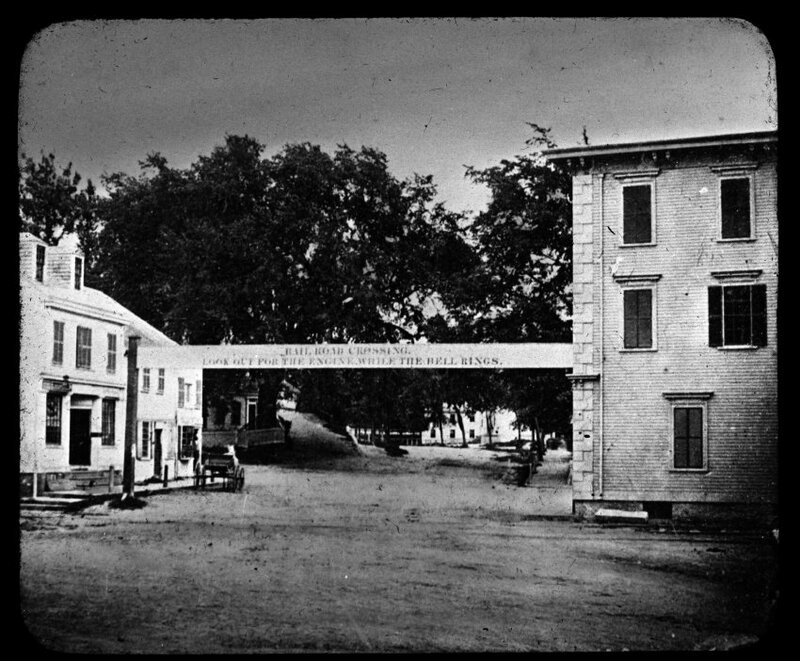 Hingham Square, looking south on Main Street, 1861. 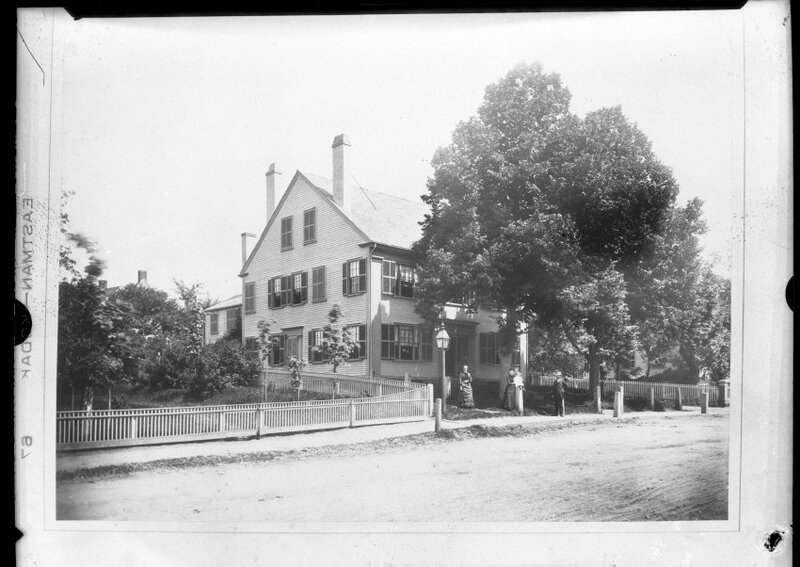 This entry was posted in Uncategorized and tagged Barker family, Derby Academy, First Parish, Hingham, historic houses, women.